Efficient school & classroom procedures go hand-in-hand in enabling rigorous and engaging learning to thrive. The Purposeful Procedures™ workshop equips leadership teams to be the drivers of change in their own schools. The Purposeful Procedures™ workshop is designed for leadership teams who are responsible for creating a safe and supportive environment in public charter schools, traditional public schools, and private schools that serve a high-poverty student population. United Schools Network serves students in grades K-8, but high school leadership teams are encouraged to participate as well. the design and installation of purposeful student culture systems to maximize learning time. the design and installation of purposeful school and classroom systems & procedures. 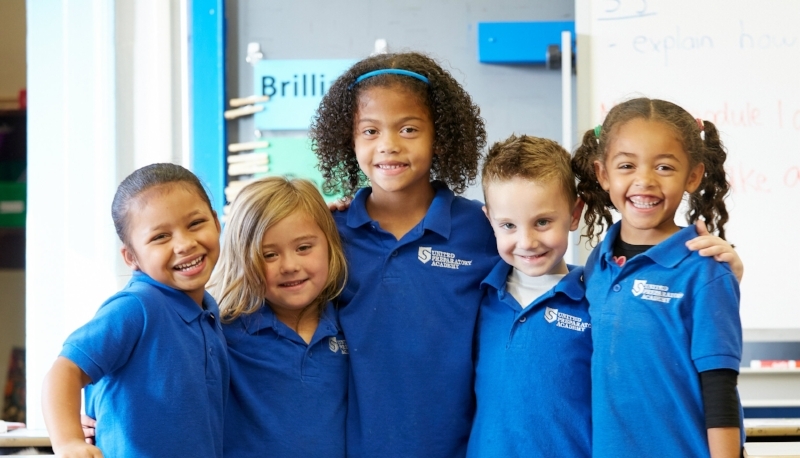 Through an intensive study of the school and classroom procedures at the United Schools Network (USN), participants learn how to design an efficient and supportive environment. You will leave the Purposeful Procedures™ workshop with the knowledge and tools needed to design and execute school and classroom procedures that maximize the learning time you have with your students. Implement the five keys outlined in Purposeful Procedures™. Create a shared language for school-based systems and procedures. Design key systems and procedures that facilitate a supportive environment. Lead effective practice with their staff. Codify and continuously improve systems and procedures. The Purposeful Procedures™ workbook that accompanies the workshop. 3: Schmoker, Mike. (2009, July 7). Do We Really Need a Longer School Year? Education Week, 28(36). Retrieved January 30, 2017 from http://www.edweek.org/ew/articles/2009/07/07/36schmoker.h28.html.